Georgia is situated in Southwestern Asia, bordering the Black Sea, between Turkey and Russia. 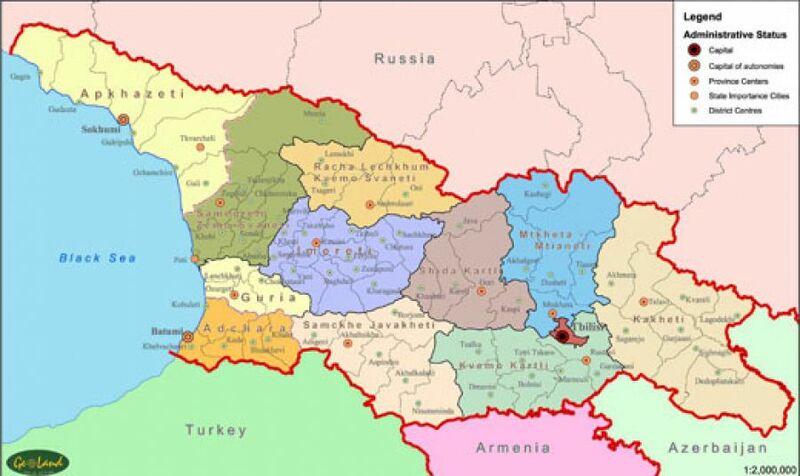 Located in the region known as the Caucasus or Caucasia, Georgia is a small country of approximately 69,875 square kilometers - about the size of West Virginia. 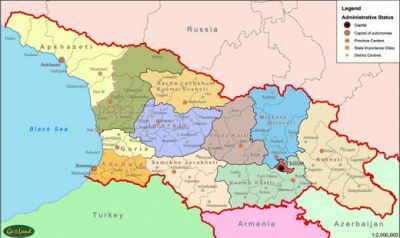 To the north and northeast, Georgia borders the Russian republics of Chechnya, Ingushetia, and North Ossetia (all of which began to seek autonomy from Russia in 1992). Neighbors to the south are Armenia, Azerbaijan, and Turkey. The shoreline of the Black Sea constitutes Georgia's entire western border. Georgia's climate is affected by subtropical influences from the west and Mediterranean influences from the east. The Greater Caucasus range moderates local climate by serving as a barrier against cold air from the north. 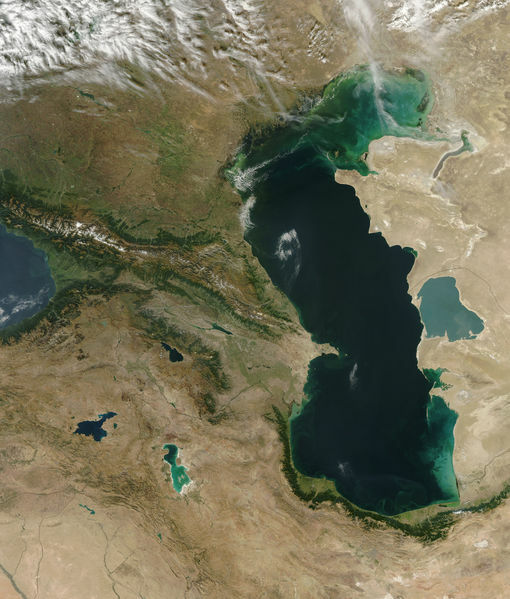 Warm, moist air from the Black Sea moves easily into the coastal lowlands from the west. Climatic zones are determined by distance from the Black Sea and by altitude. Along the Black Sea coast, from Abkhazia to the Turkish border, and in the region known as the Kolkhida Lowlands inland from the coast, the dominant subtropical climate features high humidity and heavy precipitation (1,000 to 2,000 millimeters per year; the Black Sea port of Batumi receives 2,500 millimeters per year). Several varieties of palm trees grow in these regions, where the midwinter average temperature is 5°C and the midsummer average is 22°C. The plains of eastern Georgia are shielded from the influence of the Black Sea by mountains that provide a more continental climate. Summer temperatures average 20° C to 24° C, winter temperatures 2°C to 4°C. Humidity is lower, and rainfall averages 500 to 800 millimeters per year. Alpine and highland regions in the east and west, as well as a semi-arid region on the Iori Plateau to the southeast, have distinct microclimates. Mt'a Mq'invartsveri (Gora Kazbeg) at 5,048 m is the highest peak in Georgia.